1. 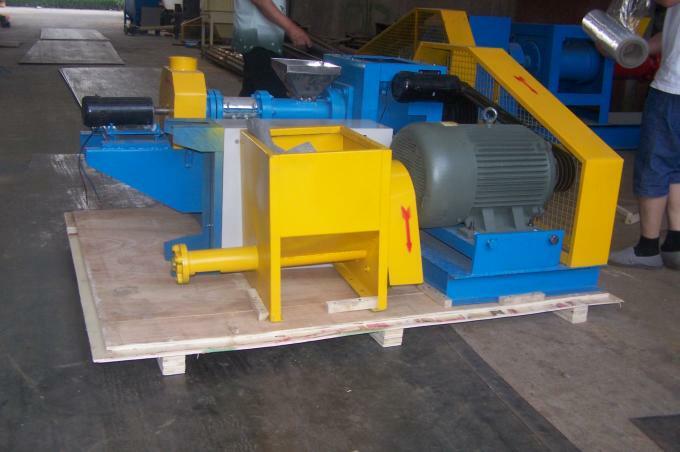 When the machine are extruding, the materials will be input from the opening end of the machines’ cavity, then will be transported into the entire cavity by the screws. Extrusion part is divided into several areas, place among every area has a ring part (pressure ring) as flow and pressure control. 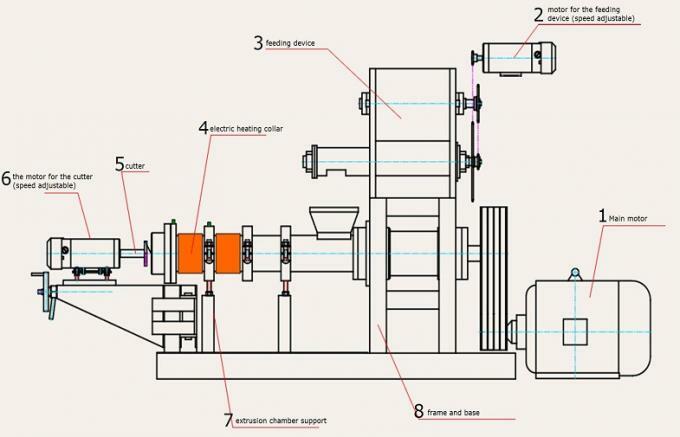 The screw conveying pressure driving the materials flow through the gap between pressure ring and inside of the cavity, Screw rotation movement of mechanical energy will be converted into heat energy by the friction between the material and extruding machine parts, and the friction between materials. 2. In most cases, the materials which are rich in starch and protein will be steamed into viscous dough or colloidal dough. In the process of this transformation, a lot of physical and chemical changes have taken place in the materials, in fact, it is mainly the result of the starch and protein in the materials changing. 3. 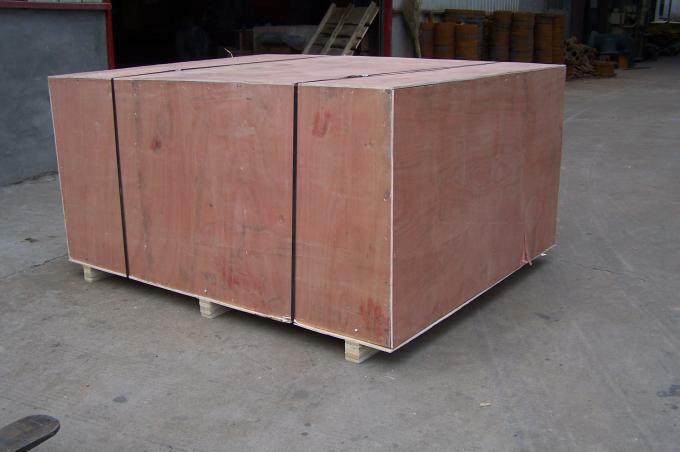 Materials are squeezed, and flow through the mould holes (the mould is placed at the end of the extrusion chamber), viscous dough or colloidal dough will be processed into certain shapes. The screws inside of the machines’ cavity have a great thrust, thus make a huge pressure in the materials, when the materials come out from the mould holes, a mass of water in the materials are evaporated instantaneous. So the moisture content of the materials is reduced greatly. 4. 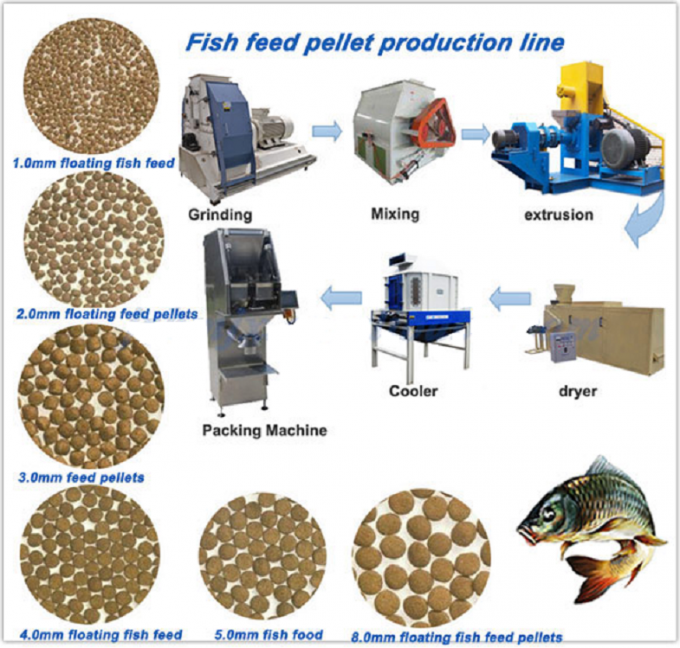 When produce pellets with low density, it depends on the materials’ molecular composition, and conditions during extrusion operation, the materials will inflate a lot. 5. When produce pellets with high density, it depends on the pressure relief opening of the extrusion chamber, and conditions during extrusion operation, (such as increase the moisture content of the materials, decrease the extrusion temperature), the materials would not inflate a lot. 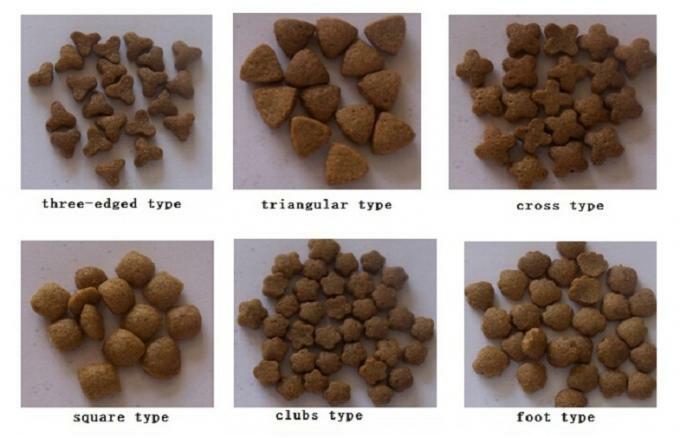 output pellets in various lengths, and without burrs. 2. Novel and unique design, simple structure, easy to assemble and disassemble, and easy to operate. 3. 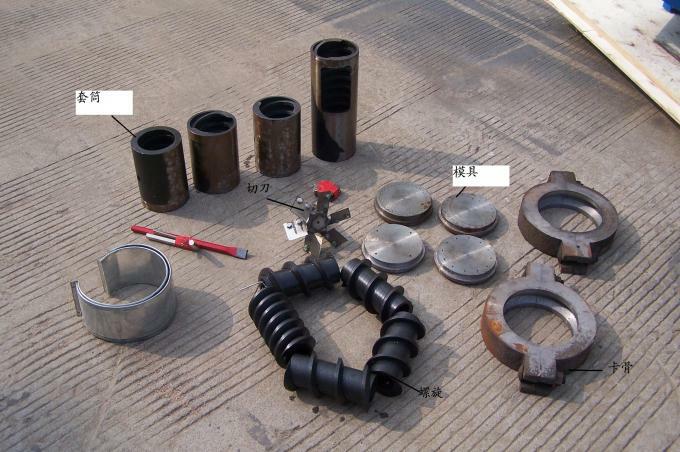 Nut and screw are made of special high temperature resistant alloy steel, and gone through heat treatment. They have advantages of wear resistance and long lifespan. 4. There are unique pressurized die device inside to make sure the output capacity and quality of feeds. 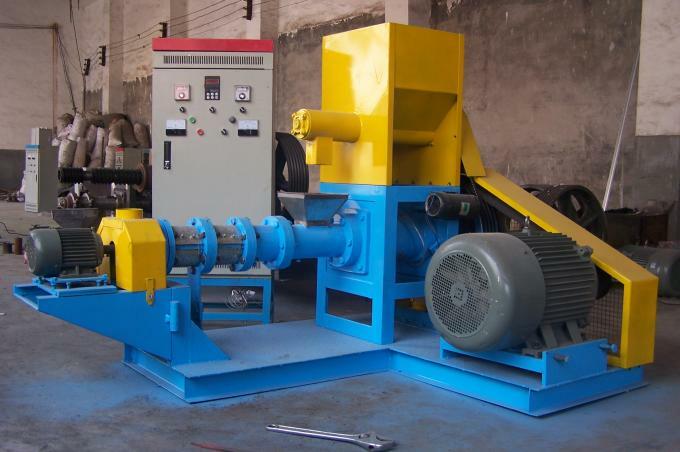 And electric heating device is equipped to improve the feed expansion rate. 6. 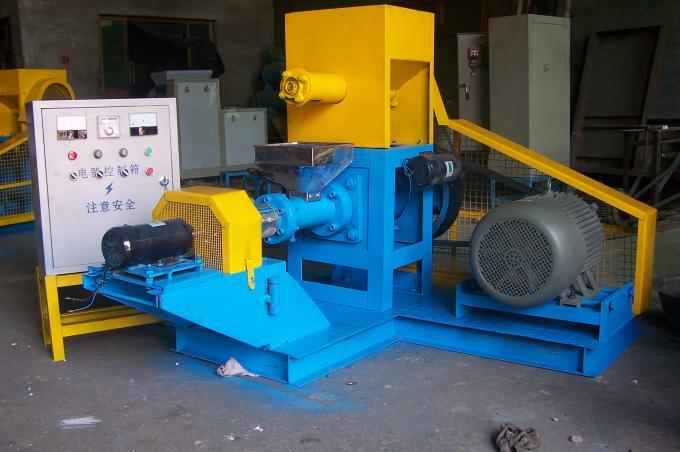 Speed adjective feed system makes sure it’s easy to operate and feed evenly to prevent machine jam. 7. Easy to change matrix. 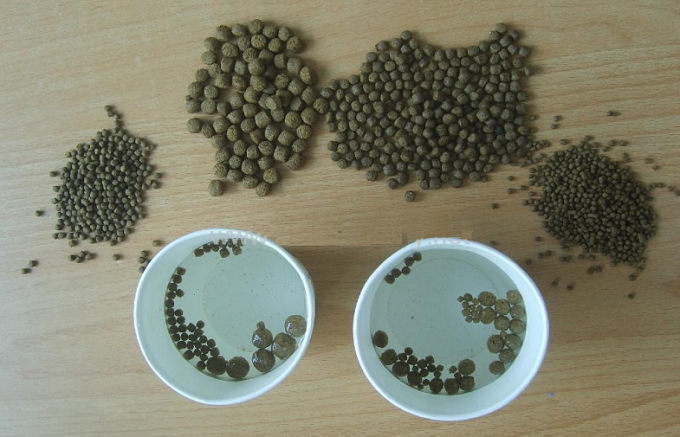 By using matrix with different diameters, customer can have pellets with various diameters. 8. Screw adopts split structure, easy to clean and change. protein transform and Gelatinized starch, easy for fish and animal to digest and absorb. 10. 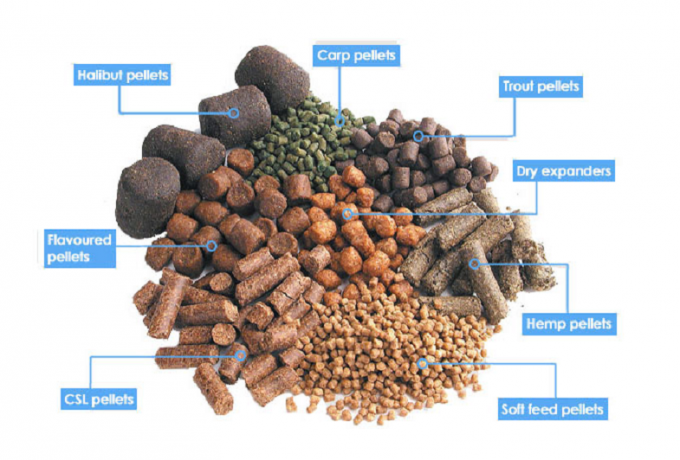 Usually puffed floating fish feed saves 8-15% than powder or grain form feed. 11. 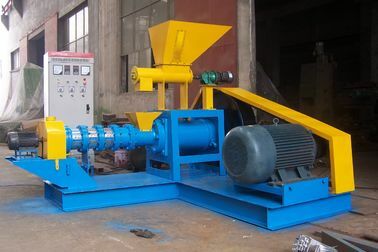 It can produce sinking aqua livestock feed. 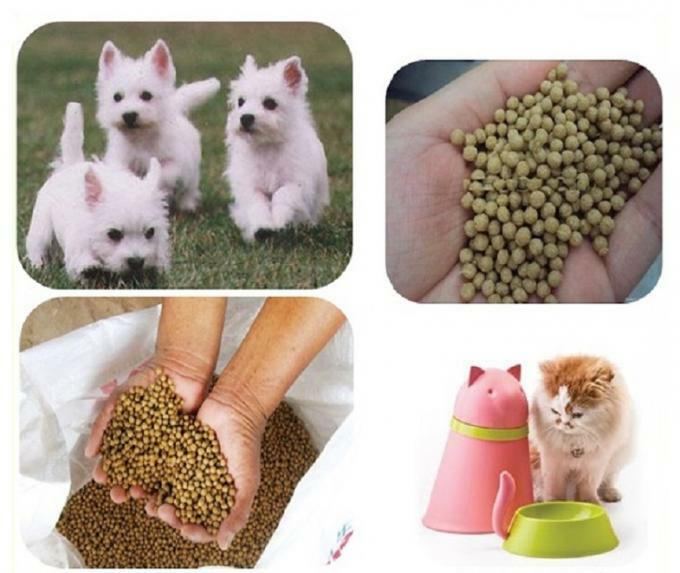 By eliminating most of toxins, anti-nutritional factors and urine antitrypsin enzyme contained in raw materials, feeds are easy for animals to digest and absorption, to improve digestion and utilization of nutrients.